The company's net loss shrank by 45 percent to 270 million euros ($329 million) year-on-year. Nokia has not turned a profit since the fourth quarter of 2016. Sales plunged by eight percent in the quarter to 4.93 billion euros, weighed down by the mediocre performance of Nokia's main business, networks, in North America. Despite the slow start, Nokia's chief executive Rajeev Suri said there was "strong momentum building for the full year". "Our confidence is based on strong order intake and backlog" in the first quarter, Suri said in a statement. But investors did not seem convinced by his optimism, and Nokia's stock plunged by 7.8 percent soon after the stock market opened in Helsinki in a flat overall market. Nokia and its competitors have been treading water for a few years, waiting for operators to progress from current fourth-generation (4G) mobile network technology to 5G, which will offer ultra-fast data transmission times that the industry hopes will help run autonomous vehicles, smart cities and other innovations. 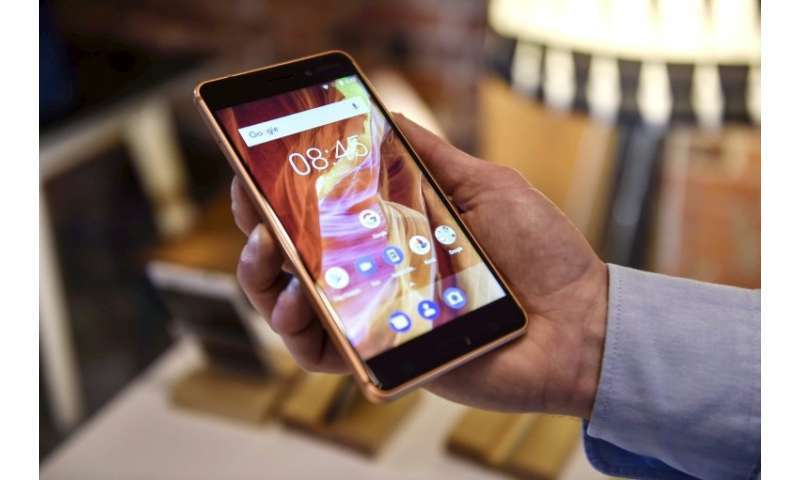 But the Finnish company said it saw a high tide coming in from North America, where it expects commercial 5G network deployments to begin "near the end of 2018", allowing Nokia to begin cashing in on its investments in the new ultra-fast connection technologies. "The profits fell short of expectations quite roughly, especially for the networks business ... but towards the end of the year the outlook is more optimistic and positive," Inderes analyst Mikael Rautanen said. Nokia and its Swedish competitor Ericsson are also getting an unexpected push for their business from the US, as their Chinese competitors have been hit by sanctions imposed by Donald Trump's America First administration. Suri said it was too early to estimate the financial impact of the sanctions, adding that "in the long term there might be opportunities particularly in the mobile safety and optical business." Nokia was the world's top mobile phone maker between 1998 and 2011 but was overtaken by South Korean rival Samsung after failing to keep up with the rapid rise of smartphones. After selling its handset business to Microsoft in 2014, it acquired French-American rival Alcatel-Lucent in 2015 to develop its telecom equipment and network business.